L'UE impreparata contro "attacchi cibernetici". Il CYBERCALIPHATE. Mercoledì scorso 8 aprile, tutti i canali (TV e Internet) della rete francese "TV5 Monde" sono stati per breve tempo invasi da "videate" con la scritta "CyberCalphate" e altri elementi di propaganda estremista islamica e di favore all'ISIS. La BBC riporta la notizia anche con l'ipotesi che non si tratti davvero di un momentaneo temporaneo di hackers islamisti, bensì di non meglio precisati "mistakes". [(*) Non ho capito perché non riesco a mettere qua direttamente l'immagine invece che un suo link]. Ma i servizi di "intelligence" francesi dicono invece che si tratta di un attacco preparato nei minimi particolari e quindi su progetto studiato già da molto tempo. Secondo fonti della Commissione Europea, questa si starebbe già occupando del problema. Non è che si parta da zero, ma ci sarebbe ancora molta strada da fare, anche perché le eutorità di ogni singolo stato.membro hanno la presunzione di poter affrontare "in casa" problemi del genere (che ormai sono invece anch'essi "mondioalizzati"). The attack by the so-called CyberCaliphate disrupted all TV5 Monde channels and websites. An attack on French TV channel TV5 Monde on Wednesday (8 April) highlighted Europe’s vulnerability to high-tech cyber criminality. 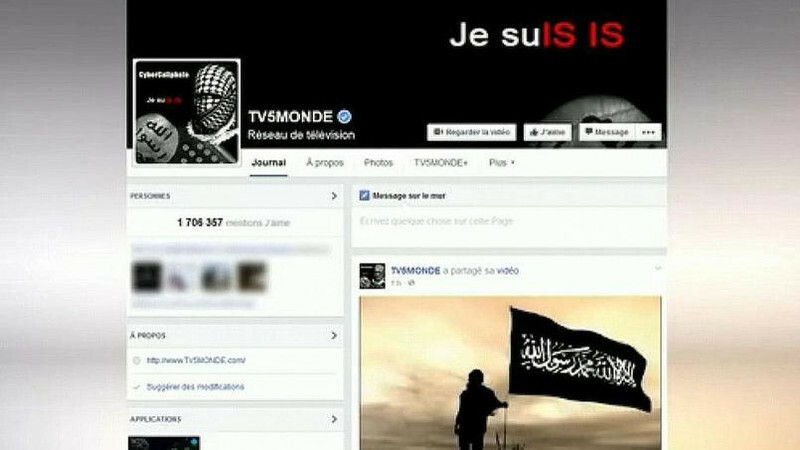 Hackers claiming to belong to the so-called CyberCaliphate, which pledges allegiance to Islamic State, took control of TV5 Monde’s channels worldwide, as well as its website and social media accounts. Jihadist messages were published on its website and Facebook page. The channel had to suspend these pages and stop broadcasting for about 24 hours. "These attacks were simultaneous, co-ordinated, inevitably prepared for weeks," said TV5 Monde chief Yves Bigot on French TV. The hackers’ goal "was maybe to broadcast their message also on our chancels and not only on our social networks and websites," he added. The CyberCaliphate already hacked the US military Central Command’s and Newsweek magazine’s Twitter accounts in January and February. The attack against TV5 Monde was more ambitious and signals a nee level of threat to Western media as well as civilian and military networks. The French national agency for the security of information systems also reported more than 1,500 cyber attacks against local administrations and small companies websites in the wake of the January attack on Charlie Hebdo in Paris. All attacks were perpetrated by groups claiming to act "in defense of Muslims" or for the Palestinian cause. The conventional and digital assaults have highlighted the limited powers of the EU in the face of well-organised non-state militants. "The EU can provide expertise and support," said a European Commission spokesperson on Friday (10 April), while adding that the bulk responsibility to protect EU nationals lies with member states. Efforts for a common cyber security policy are only halfway through. The EU established the European Network and Information Security Agency (Enisa) in 2004 to help EU countries to develop cyber-defence infrastructures. It also funds expert meetings and information exchange. "We have much progress to do, but we do not start from zero," said the commission spokesperson. A cyber security strategy, as well as a directive on network and information security (NIS), were presented by the commission in 2013. The aim of the legislation is to secure key EU networks, like transport, energy, financial or healthcare networks, and achieve cyber resilience and a "common high level of security". EU countries would be required to provide national NIS strategies and set up agencies to facilitate cross-border cooperation at EU level. Internet operators, for their part, would have to report "serious incidents". 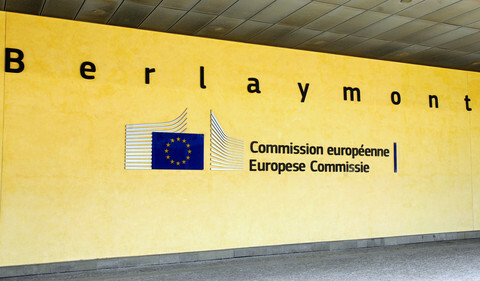 The commission would like the directive to enter into force next September, but it is still being discussed by EU member states, commission and parliament. A new meeting is planned on 30 April. At an EU parliament hearing in March, the Enisa chief, Udo Helmbrecht, criticised the slow progress in the legislation and warned of a cyber "Wild West". The EU commission will also present a new European agenda on security on 28 April and its strategy for a digital single market agenda in May.